Who knew that potty training could take up so much time and energy and strength? I guess potty training books say so, but, I mean, seriously, it’s been the center of our universe for the last 5 days, and I don’t see a finish line yet. I’m exhausted, Wes is exhausted and the dogs are pooped (haha). Steven’s been out of town for the duration of Boot Camp, and he’s due back tomorrow night. I’m so ready to go back to “normal,” and somehow the thought of his return gives me hope that there’s an end in sight. I have to remind myself that I’m a first-time parent. Every new milestone seems daunting and difficult. But even in the worst of the worst, a little tiny beam of hope and love shines through, and suddenly it’s another lesson learned. The good news: Wes can tell me when he has to go. He can feel the “urge,” and he’s gotten to the point of telling me nearly every time. 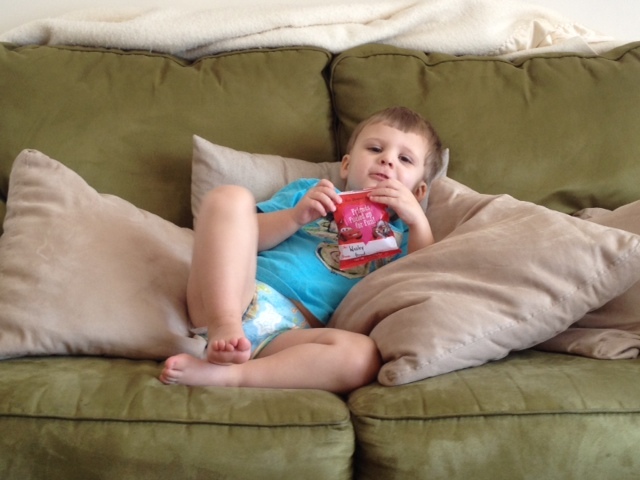 The candy incentive does miraculous work, and we may spend 30 minutes in the bathroom waiting on the potty chair just because he gets upset for not getting a Tootsie Roll. We’ve had more successes than accidents, so I feel like we’re making wonderful strides in the right direction. 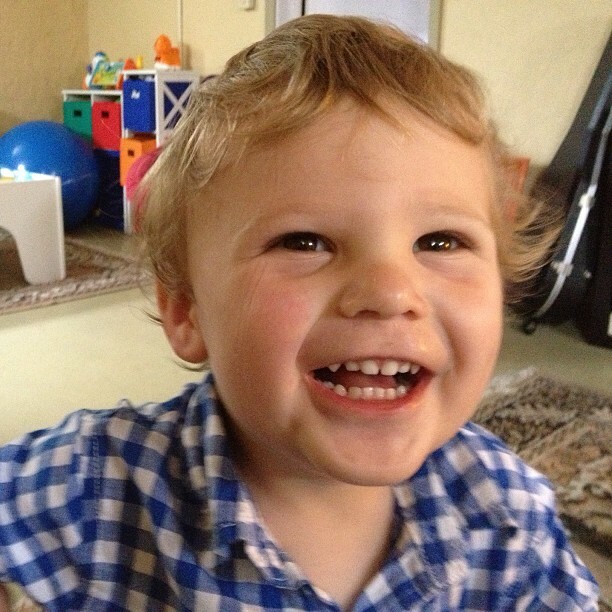 This morning Wes and I were both extremely surprised to discover a completely DRY pair of pull-ups (actually, we prefer Pampers Easy-Ups over Pull-Ups) from the night before – AND – the fact that Wes TOLD me he had to go potty, and then emptied his entire bladder in the potty chair. 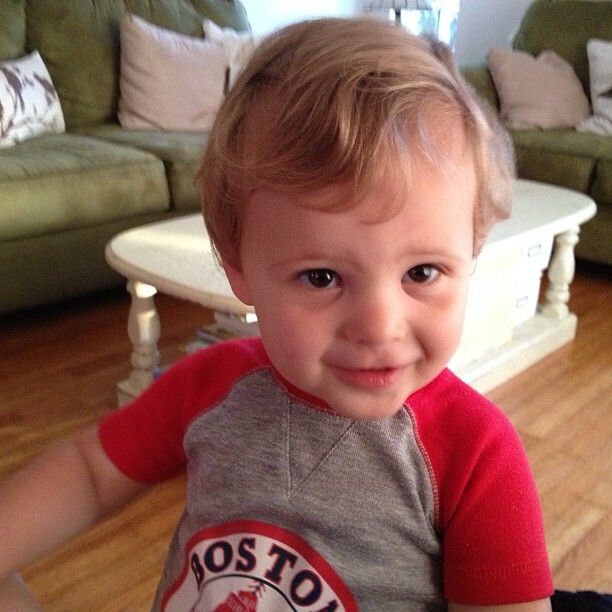 I swelled with pride for my guy, and we exchanged a great series of high fives, knucks and hoorays. The bad news: I’m not very good at this, yet. I didn’t anticipate all the extra distractions from a typical weekend and how they mess up a training child. I also didn’t anticipate an allergic and asthmatic flare-up the night before Potty Party Day, which caused none of us to sleep well. It made for an anticlimactic, lethargic start, and I almost almost gave up entirely. But after an early morning nap, we still got a few successful attempts into the day, which made the weekend much less stressful. Except. I didn’t realize how hard it would be to be out of the house, away from the familiar bathroom. We didn’t end up going to the birthday party we said we would, and I still feel guilty about it. But it would have been a complete mess, literally. And then I realized too late that to be at church at 8 a.m. on Sunday morning, I should have built in an extra 30 minutes for potty attempts before leaving the house. Wes got so upset with me for not taking him to the bathroom right away. He told me he had to go as we were putting on our coats. I honestly didn’t believe him, but we took off our coats and went to the bathroom anyway. He sat for almost 20 minutes, and I declared, “it’s time to leave for church.” He cried as we put his pants back on (I put him in pull-ups while we’re out and about, but fabric training pants at home), and he reallllly wanted a piece of candy. As we were heading out the door, Wes said, “DIEGO IS WET. DIEGO IS WEEEEET!” He was crying. See, Diego is the boy character on Dora the Explorer and because Huggies got to Disney first for their characters on Pull-Ups, Pampers had to live with second-class Diego on their Easy-Ups. To persuade Wes NOT to be comfortable peeing in pull-ups/easy-ups like a diaper, I told him that Diego doesn’t want to get wet. 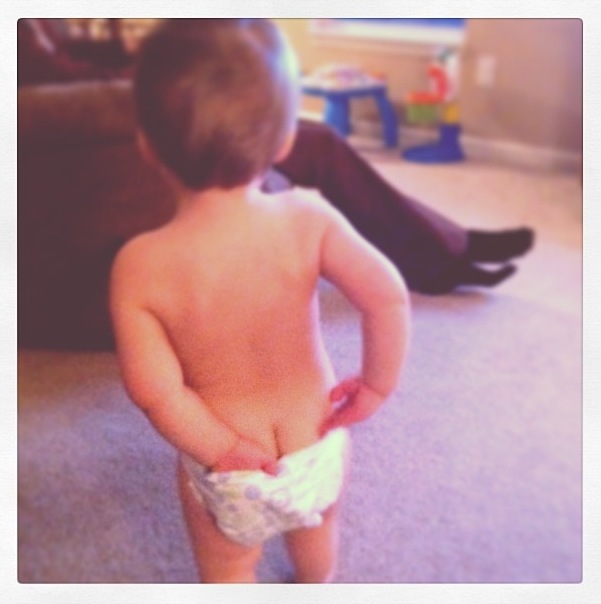 Well, Wes pretty much blamed me for this accident because I didn’t give him enough time on the potty chair. We also went out to eat to celebrate my niece’s birthday. By that point, I was ready to take a day off from potty training since we had gone most the day outside of the house, not close to a bathroom, and not in training pants. 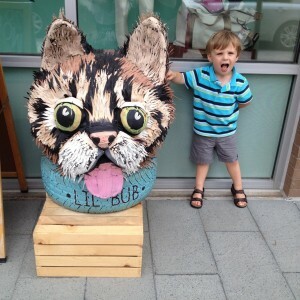 On the plus side, we did get a few potty successes that evening, and again the next evening – even after a full day at school in pull-ups/easy-ups (which I figured would take us two steps behind). 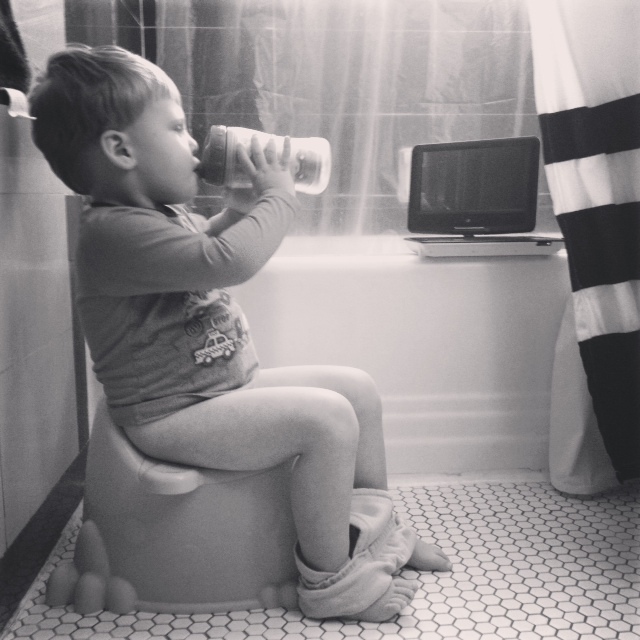 Who wouldn’t enjoy a drink and a movie in the bathroom? The nasty: Accidents happen, I know. And I expect them. And I also realize this is not an overnight BOOM done type-of-thing. But I guess I didn’t know how gross potty training is/can be. I don’t need to go into details, but I do need to point out that “nasty” can refer to my reaction to accidents, and sometimes, like tonight, I need to take a deep breath and move on. Because of his brief successful history and especially the dry dipe this morning, I figured he would do well again this evening. We spent 30 minutes in the bathroom after dinner, and nope, nothing. No big deal, we’ll just try again later. I put “undies” (training pants) on him, and for the next HOUR, nothing. Dry. Amazing. He didn’t nap at school today, and I could tell he was getting tired and grumpy, but we decided to snuggle up and watch part of a movie before bedtime anyway. I turned off the TV – perhaps too abruptly – post typical bedtime and about 25 minutes until the “exciting conclusion,” and Wes blew a gasket. When he scream-cries, he needs to be left alone for a few minutes to regain his composure. Nothing I do or say will comfort him, so I left to take the dogs outside for a minute. Of course, while I was gone, he cried hard enough to pee all over the couch. My “nasty” mood came out because I was irritated at myself for not catching it sooner. After I stripped him down, still exhausted and crying, I tore apart the room and started a load of laundry while he stood there, sobbing. Poor kid. In retrospect, it probably was the ultimate humiliation. I was able to calm down enough to hold and comfort him, but he couldn’t be soothed. He was so tired that he couldn’t catch up with himself. 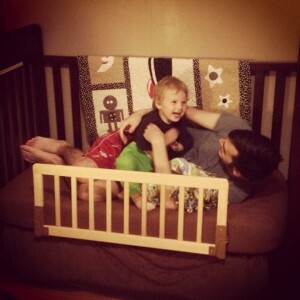 Even after our calming bedtime routine with songs and prayers, he was visibly upset. Not knowing what else to do, I picked up my giant 35? lb boy and held him like the baby I miss holding in my arms. We rocked and rocked and he fell asleep next to my heart. We’re learning together. Even though it’s exhausting, potty training has mostly good moments, and some of them in particular, I’ll treasure for years to come. 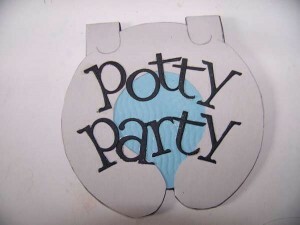 We’re gearing up for Potty Party Day in 3 weeks’ time, as I mentioned in a previous post. 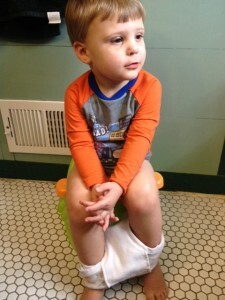 Wes is either wearing no pants (which he hates) or pull-ups in the evenings and on weekends, and sometimes he’ll even ask to sit on the potty. 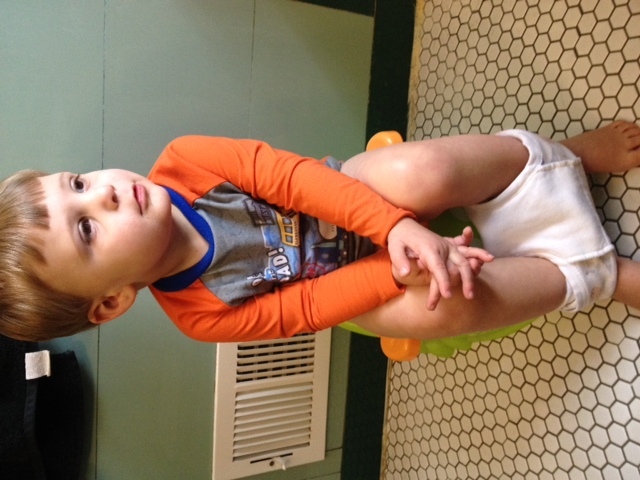 A few different times I’ve actually gotten him to sit for several minutes at a time, sans pants, on his potty chair! We still haven’t had any successes, but that’s what Potty Day is for. So when I mean we’re gearing up for “the Day,” I mean I’m gathering supplies. Training Pants – I bought 12 pairs of Gerber training pants to use for the Day. I actually got one out today to have him try it on before I wash them all, but we’re not using them yet or keeping them in sight so as to not lose the excitement factor. His daycare prefers we use disposables until he is fully trained, so I also have a mix of Target brand training pants (FYI don’t use for overnight!) and Easy-Ups for nap and nighttime use. The reason I went with the Gerber pants over a set of cheap character ones is because these have slight padding in the front, which doesn’t prevent leakage when a full bladder is released, but it will help keep in some accidents on the way to the toilet and dribbly days. Also, the quality is great. They’ll hold up well in the wash and we can use them as “undies” until he outgrows them. I purposely bought a size bigger so he can wear them for longer. 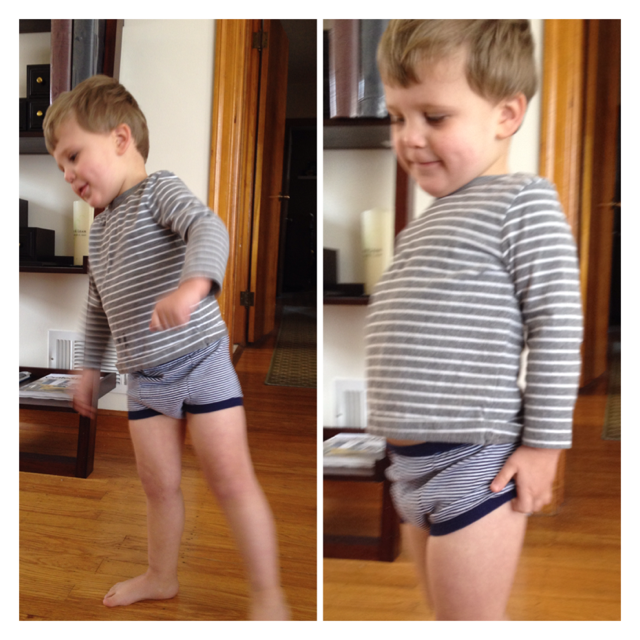 Plus, they fit him like boxer-briefs and are so darn cute! Potty Chair – I got the cheapest one I could find that has stability and handles, a Fisher Price Frog Chair. I purchased it new (I really couldn’t stand the thought of getting a used one) several months ago, but it actually fits in nicely with our Potty Day theme. We also have a Potette Plus for the basement bathroom and doubles as a to-go potty chair option. Potty Doll – Instead of buying a rather expensive doll that wets on its own, I opted for getting a plush version of Hopkins, the “toddler” frog featured in the Baby Signing Time DVD series. Wes has been a huge fan of Signing Time forever, and it works great for us because he’ll have a connection with Hopkins based on familiarity. Hopkins endures potty training in the Potty Time DVD, which we’ve had for several months as well. This Hopkins doll will also be a nice keepsake after the fact and won’t be awkward to keep around. 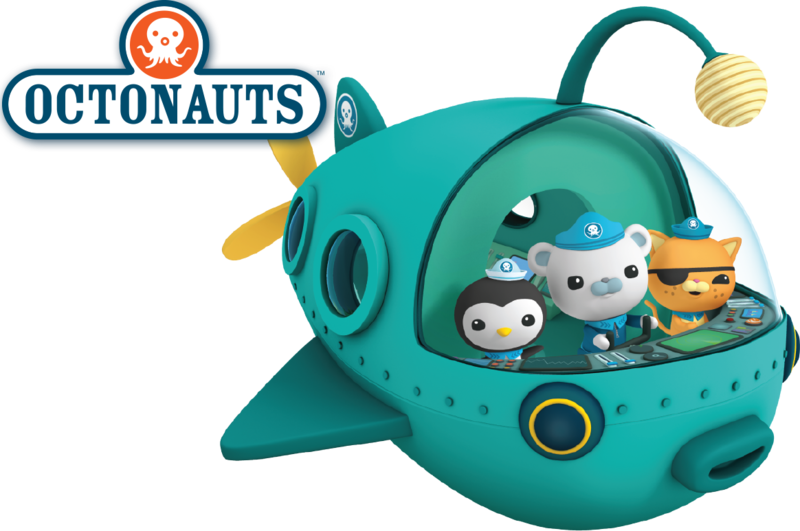 I haven’t yet, but I will go ahead and either make or buy some additional training pants for Hopkins for “the Day.” The goal is for the child to help train the doll to use the potty and we’ll need several pairs of undies for Hopkins since he’ll have a few accidents (I’ll just use a wet sponge to dampen them.). Books & Movies – We do have a few of our own around the house, but I reserved about 20 different titles of books and DVDs from the library that we can read and watch on the Day. Stuff that we have already seen doesn’t have the same wow factor or hold as much attention, so these will be great to have on hand. The one exception is our beloved Potty Time DVD since Hopkins is the star of the show. Decorations – My first thought for the Day was to have a Thomas & Friends party, since Wes looooooves trains. 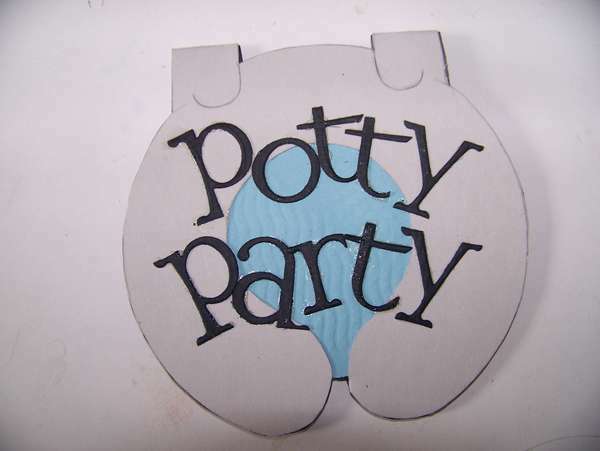 But the book I’m reading that suggests the Potty Party Day seems to focus so heavily on decorations and theme that it gets a little out of control. I finally settled on making it all about Hopkins, the frog, so I can easily find cheap frog and/or green stuff from the dollar store to make it extra special. We don’t need to have a themed activity in between every undies check (to praise if dry, to change if wet) or themed food treats as praise items. We can do fun, new things, of course, but I don’t have to be too creative or expensive here. Like, green balloons and stickers are perfect and dirt cheap. 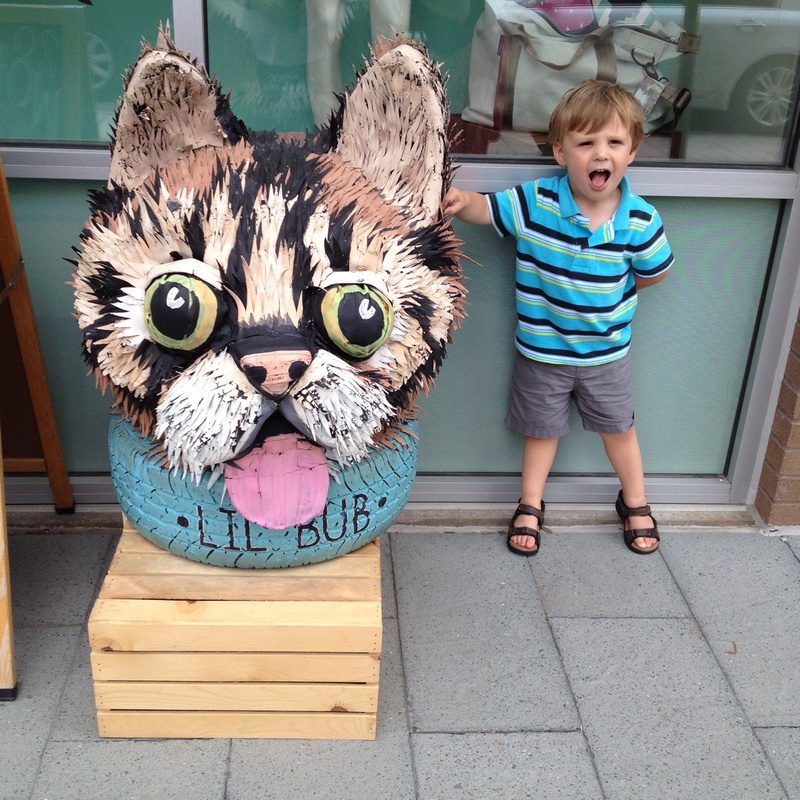 Potty Prizes – I’m not going to spend lots of money here. I’m going to print some freebie potty charts found on the web. Every time Wes (or Hopkins) has dry undies during a periodic check, he gets a sticker for the chart. Every time Wes or Hopkins potties IN the potty chair, he gets a sticker AND a special edible treat, like M&Ms or something. I haven’t quite figured out what a full chart leads to – a wrapped gift, a “party” of sorts with grandparents or a trip to Target to pick out a special prize? I’ve got a little time left to figure it out.